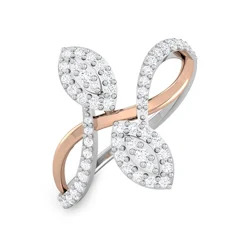 Gold rings for women on Papilior are available in different colours with yellow, white and pink and purity with 14kt,18kt and 22kt to choose from. Every woman young or old has at least some gold to her name and might also be the first jewellery she ever experiences. Jewellery Designs is the first thing that comes to the mind when you say gold as it is so flexible and gorgeous in durability and design. Women's gold rings are very much preferred and come into the statement accessory category, it is so versatile that you can never go wrong with it and it can complete any look that you're going for. As gold is considered auspicious a lot of people believe in exchanging on couple bands rings and rightly so as this eternal metal could prove lucky for an eternal bond. 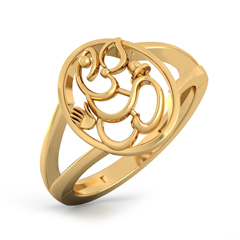 We are sure that you will adore the gold rings designs and will pick something of your liking in no time.